Christian Barnes of The San Juan Angler dressed as a fly fishing Santa and greeting people during Noel Night 2017 on Main Avenue in downtown Durango. DGO pours for Guys’ NightWant to watch the DGO staff bumble through a night of serving beers? Well, you’re in luck because we’ll be the guest hosts at Billy Goat Saloon’s Guys’ Night. Not only will you probably get a good laugh out of Billy Goat trying to make bartenders out of us knuckleheads, but there will also be $2 domestics and $3 Ska pints. So please, please, please don’t laugh too hard when you join us at our new bartending gig. We’ll do our best to be the OK-est bartenders you’ll ever have. Avalanche safety in pintsIs there anything more fitting than the celebration of beer AND snow? Well, apparently not, as Brew Pub & Kitchen and Backcountry Experience teams will join forces to bring you their first Avalanche Pint Night. Not only will you get to enjoy lots of delicious beer (which is a reward in itself), but a dollar from every pint sold will go to Friends of CAIC, a nonprofit that supports avalanche education, forecasting, and safety at the Colorado Avalanche Information Center, and there’ll be a prize drawing for the cause as well. Holiday Market to warm your Grinch heartJust because it’s winter doesn’t mean you can’t enjoy a good time at the market. 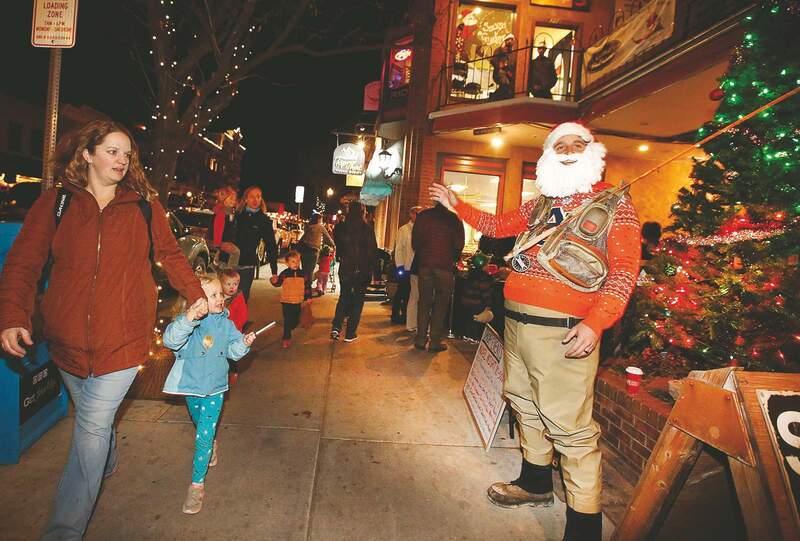 It just means you’ll have to get in the spirit and dig into Durango’s holiday version of the Farmers Market. Explore the stands of handmade holiday items and get your hands on the last of this season’s fresh veggies, meats, cheeses, and much, much more. Don’t be a Grinch and miss out on snatching up this year’s locally-made holiday products. Who knows? Maybe your heart will even grow a couple sizes.